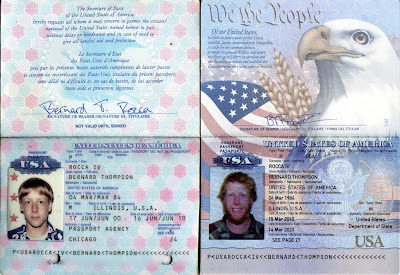 Somewhere around Gunnison, Colorado I realized that my passport would expire this June. Unfortunately, I believe most countries require passports to be valid for six months beyond planned travel, which for me is today. A little internet research landed me at the Passport Agency website, where I made an appointment for the one day I had free in San Francisco. Then I crossed my fingers. I'm happy to report that with evidence of travel, two passport photos, a completed DS-82, your old passport, and an appointment at the passport agency, you can have a passport the same day as your appointment. Oh yeah, you'll also have to pay $135. 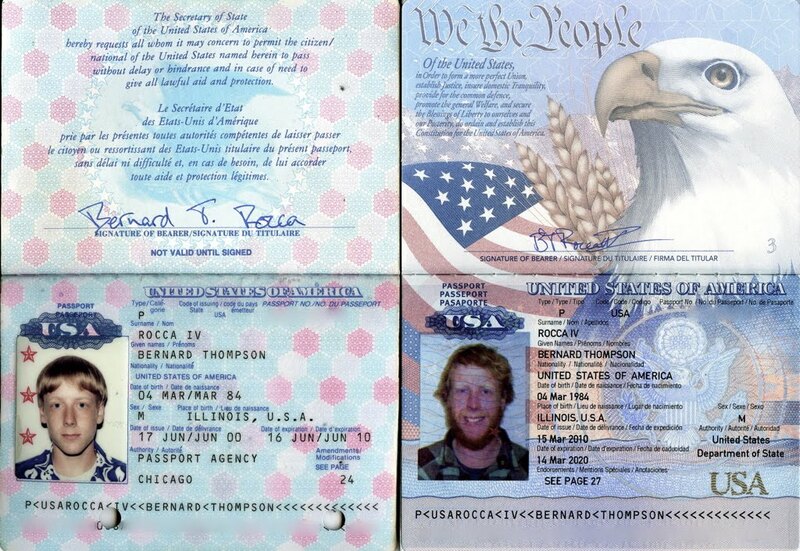 It was sad to retire the old passport, which gave me access to many an adventure, and received quite a few laughs from customs officials as I grew older. But I look forward to ten years of funny looks from customs officials when they see my current passport photo - assuming I ever shave my beard. Love the new photo. Somewhere under that lovely red beard is the same happy boy in the earlier photo. Maybe even happier now.